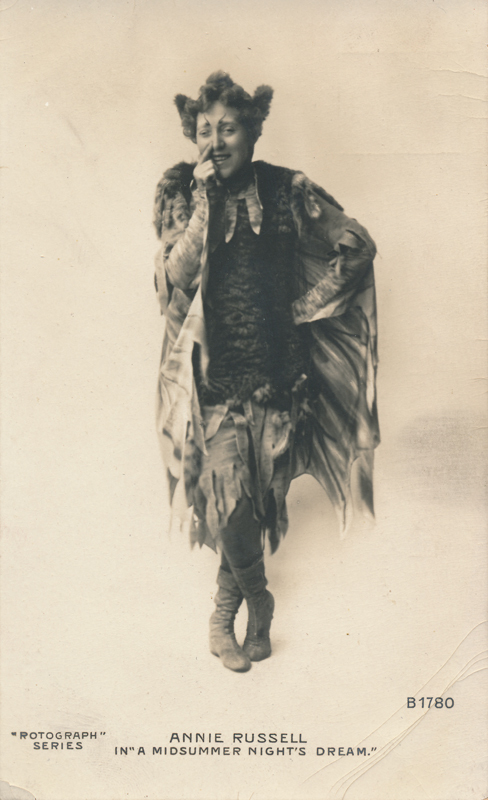 Annie Russell began her career as a child and toured all over South and North America. Illness forced her retirement for a time, but she returned to the stage when she was thirty and first played in London in 1898. 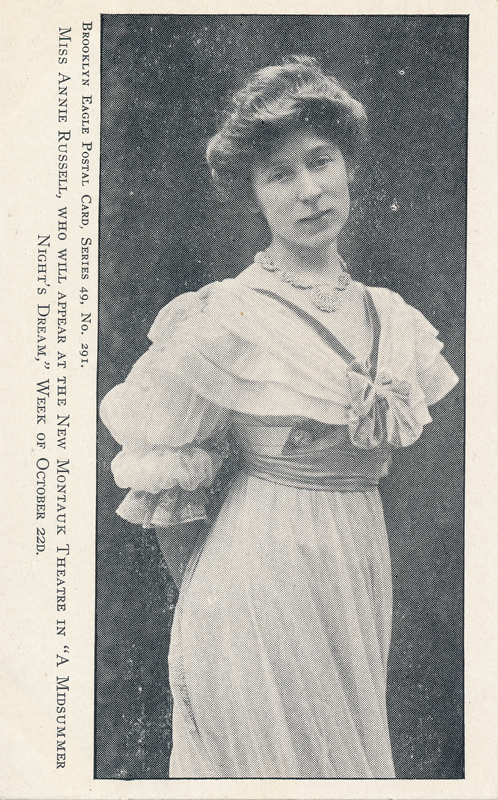 Although she had played some Shakespeare earlier in her career, in 1912 she formed the Old English Comedy Troupe and after that presented several Shakespeare comedies such as A Midsummer Night’s Dream (shown here). She retired in 1918.